Check out some great tips on blogging from Yvonne at Quilting JetGirl, as part of the 2015 New Quilt Bloggers blog hop. 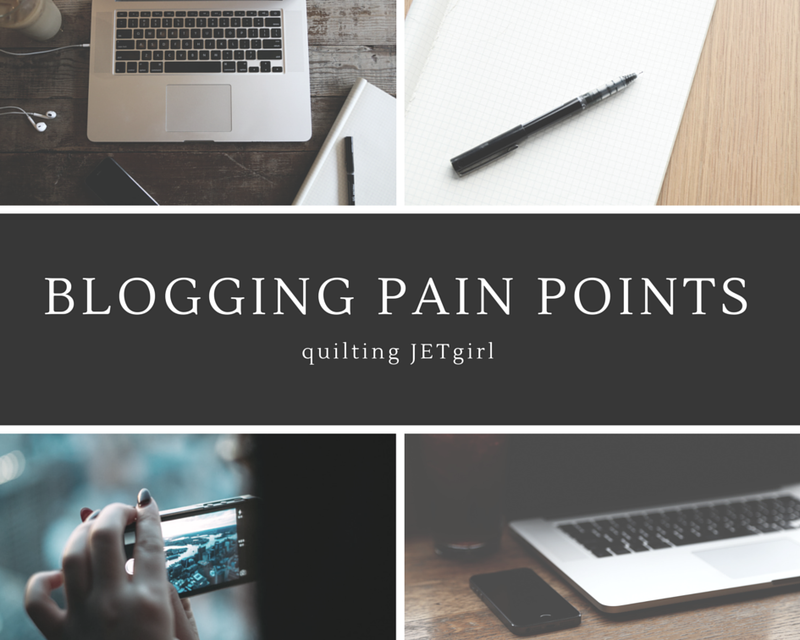 I love how she dissects several Pain Points when it comes to blogging and how to overcome them! 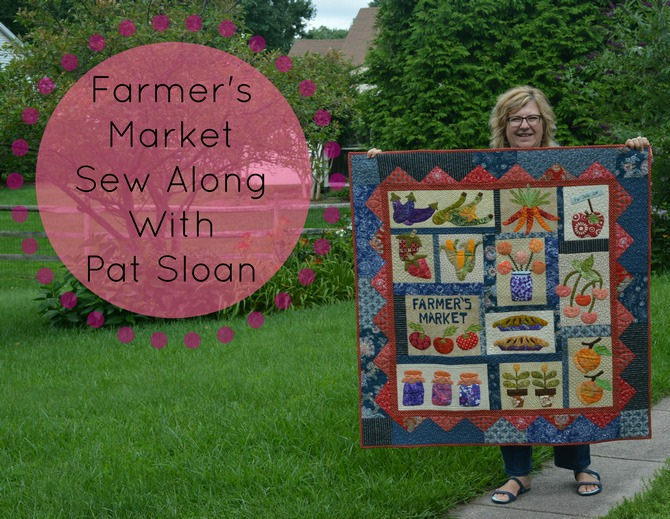 The always lovely Pat Sloan is hosting a sew along for one of the patterns in her new book Teach Me to Applique. To join, just buy a copy of her book and head on over to her blog and facebook group for all the fun! Abby Glassenberg from While She Naps is running a feature on her blog this summer entitled, “The Pattern That Changed My Life” and it’s a very inpsiring series. She hosted it last year and it was so successful that she’s repeating again this year. In fact, she’s invited me to be one of the contributors in August and I can’t wait to share that story with you! I think good thing come in threes so I hope you enjoy those recommendations. If you are an avid blog reader like me – what other interesting things have you been reading? I’d love to know! Thanks for that link to such a great article about point points! Hope your sewing is going well!